Good Choice Reading: B&N vs Amazon, Breast Cancer/Book/Cookie Month, Teach kids to Read!! 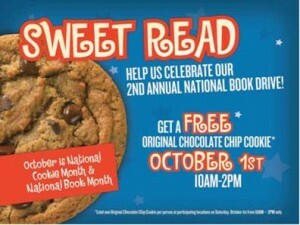 B&N vs Amazon, Breast Cancer/Book/Cookie Month, Teach kids to Read!! Barnes & Noble vs The Kindle Fire!! On October 7, 2011, Barnes and Noble announced that they would be removing 100 physical DC Graphic Novels that DC has promised to digitally sell exclusively through The Kindle Fire. A B&N spokesperson confirmed the move and said, "We pulled those 100 DC Comics graphic novels that we were not offered in digital format. Our policy is that unless we receive all formats of a title to make available to our customers, we will not sell those physical titles in our stores." I don't know...in my opinion, B&N should worry less about the digital format of books, and instead, focus on the merchandise that is actually in their stores. I mean, give your loyal followers some credit B&N - if they really want the comic, and it's not offered on the Nook, they'll probably buy it in the store anyway. But by removing it from the shelves, you're going to drive DC Comics fans right into the hands of Amazon. Do you all agree with me? Do you think B&N is right in this case, or are they just being petty? Throughout the month of October (Breast Cancer Awareness Month), Penguin invites you to join their Read Pink campaign, not only to raise awareness, but also to support the Breast Cancer Research Foundation. Penguin has chosen eight best-selling mass market titles for Read Pink 2011: including Nora Roberts, Catherine Anderson, Christina Dodd, Jillian Hunter, Lynn Kurland, Amanda Quick, Beatrice Small and Lauren Willig. More than 300,000 copies of special edition books by these women will be printed featuring Read Pink seals on their covers. So what are you waiting for? Go get a great book while supporting Breast Cancer at the same time. Don't you just love multi-tasking! So apparently October is not only Breast Cancer Awareness Month, but it is also National Book Month AND National Cookie Month - who knew?? Volunteer to Help Kids Read! GCR Followers - we all know how much you love to read, but how about taking some of those word-loving skills and using them to help future book lovers? 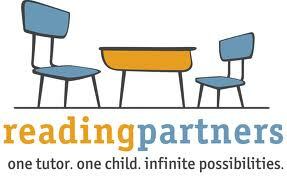 Reading Partners is a non-profit organization that helps with children's literacy in public schools. It's based in San Francisco, but has just recently started up in Washington DC and NYC!! As a volunteer, you would only have to tutor for 45 minutes, two times a week - that's it!! So click here if you want to share you love of reading with those who can use it the most. Or you can just go to ReadingPartners.org. Maria, I love you Saturday news. I disagree with B&N in this. Because not for nothing, comic books are meant to be collected. My brother and my boyfriend loves comic books and I KNOW that neither of them would like the digital format vs the actual print comic. For them to actually pull the comics out of shelves completely will only drive their customers to seek them else where. BAD move B&N! BAD MOVE.